With over 1 million apps in the App Store and tons more being released every day, everyone tries out new iPhone apps all the time. But trying a lot of apps also means you'll find a lot you don't like and that you'll want to delete a lot of apps. Whether you just don't like the app or you've found the perfect new app to replace an old one, you should clear out apps you no longer use to free up storage space on your phone. When it comes time to remove apps from your iPhone, iPad, or iPod touch, the process is easy. Since these devices all run the same operating system, virtually all iPhone tutorials also apply to the iPad and iPod touch, there are three techniques you can use to remove apps (these days, you can even delete apps that do come with your iPhone, if you want). Find the app you want to uninstall on your iPhone's home screen. Tap and hold the app icon until all the apps begin to wiggle (this is the same process as for re-arranging apps; if you have a phone with a 3D Touchscreen, don't press too hard or you may active a menu. It's more like a tap and light hold). When the apps begin to wiggle, you'll notice an X appears on the top left of the icon. Tap that. A window pops up asking if you really want to delete the app. If you've changed your mind, tap Cancel. If you want to proceed, tap Delete. If the app stores some of its data in iCloud, you'll also be asked whether you want to remove your data from Game Center/iCloud or leave it. If you expect to ever use the app again, leave the data there. With that, the app has been deleted. You can repeat the process for other apps or click the Home button (or tap the Done button on iPhone X) to go back to normal operations. And if you change your mind about deleting the app, there's good news: You can always install the app again by redownloading it using iCloud. 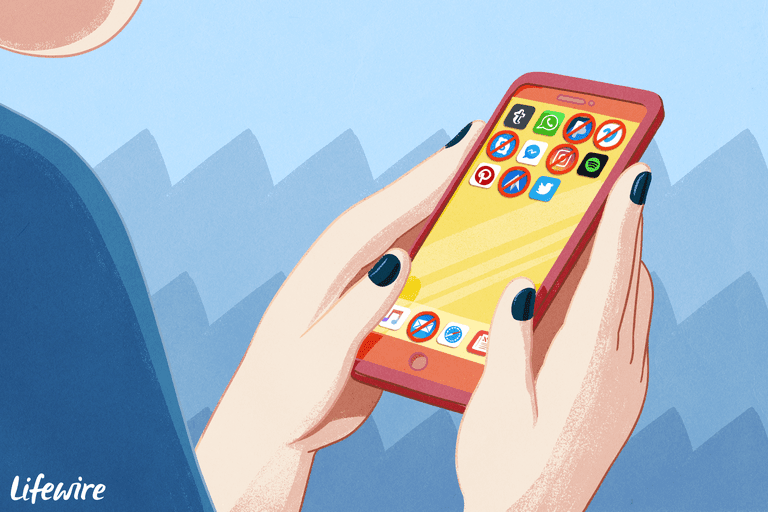 This method of deleting apps is a little esoteric – and probably not one most people have ever considered – but it works. This approach is especially good if you want to uninstall apps that are using a lot of storage space. Begin by tapping the Settings app. Tap iPhone Storage and skip to step 5 (on older versions of the iOS, this menu is called Usage and you need to follow step 4, too). Scroll down to find the app you want to delete. Tap any app in the list. In iOS 12, you can now Offload the app, which will remove the app itself, but leave any documents or data associated intact. That way you can reinstall the app without losing data. In the menu that pops up from the bottom of the screen, tap Cancel to keep the app or Delete App to complete the uninstall. The app is now deleted, unless you decide to reinstall it. This technique doesn't work if you're running iTunes 12.7 or higher, since those versions of iTunes no longer support the App Store. Begin by syncing your iPhone to iTunes (both syncing via Wi-Fi or USB work fine). Click the iPhone icon in the top left corner of iTunes. In the left-hand column, you'll see a list of all the apps installed on your iPhone. Scroll through it and find the one you want to get rid of. When you've marked all the apps you want to remove, click the Apply button at the bottom right corner.